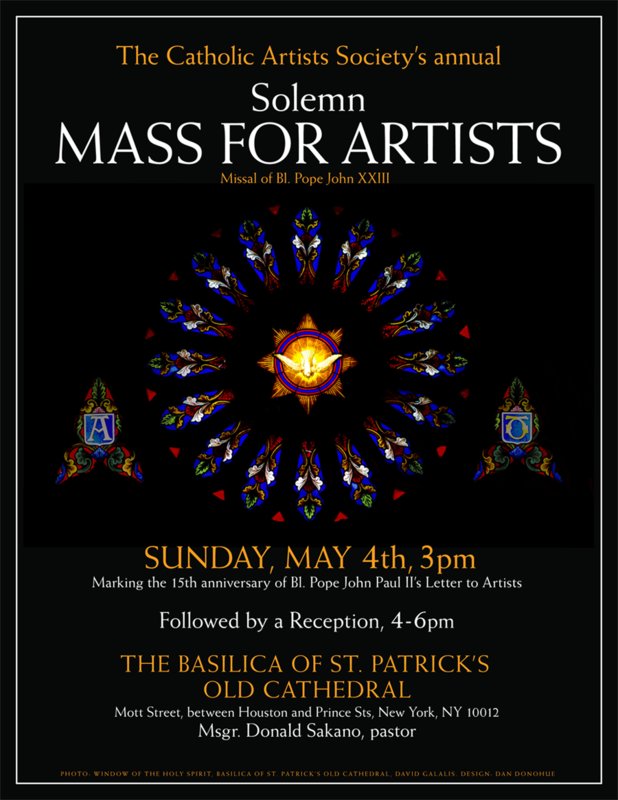 The Catholic Artists Society is pleased to invite you to its annual Mass for Artists, Sunday May 4th at 3pm at the Basilica of St. Patrick’s Old Cathedral, Manhattan. Members, patrons and friends of the society are invited to attend with their families. 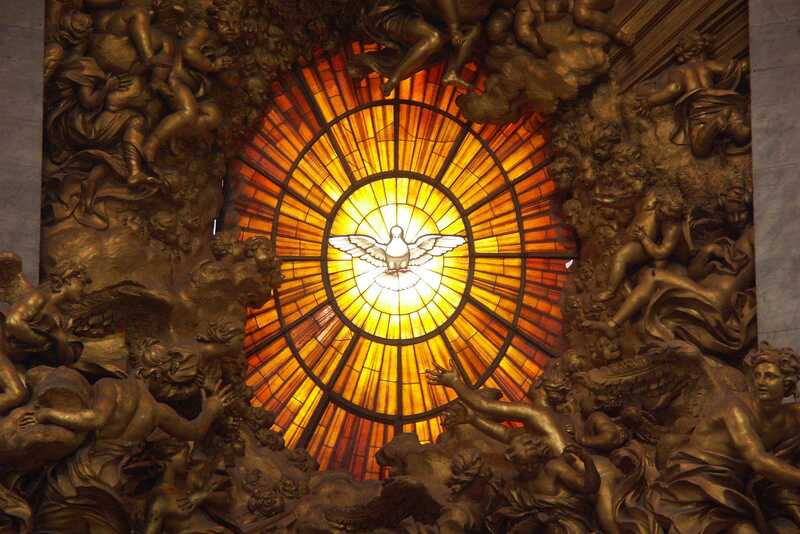 This year’s Mass will mark the 15th anniversary of Bl. John Paul II’s Letter to Artists, published on April 4, 1999. To celebrate this anniversary, we have chosen a Mass setting composed during JPII’s lifetime, the Berliner Messe by the Estonian composer, Arvo Part. Organist Jared Lamenzo will lead a professional choir in this contemplative setting of the Mass. Mass will be offered according to the Missal of Bl. Pope John XXIII, who will be canonized with Pope JPII the previous Sunday. The celebrant will be Father Brian Taylor of the Church of St. Benedict in the Bronx. He will be assisted by Father Jean Paul Soler, pastor of the Church of St. Denis in Yonkers, NY, and Father Matthew Newcombe, chaplain at Kennedy Catholic High School in Somers, NY. Monsignor Donald Sakano, pastor of the basilica of St. Patrick, will offer the homily. A reception will follow in the Basilica courtyard, weather permitting.